What is Cisco Packet Tracer ? Cisco Packet Tracer is a powerful network simulator for CCNATM and CCNPTM certification exam training allowing students to create networks with an almost unlimited number of devices and to experience troubleshooting without having to buy real CiscoTM routers or switches. Cisco Packet Tracer features an array of simulated application layer protocols (HTTP, DNS, …), as well as basic routing with RIP, OSPF, EIGRP, and BGP to the extent required by the current CCNA curriculum. It also includes Cisco IOS 15 with licence features, which was introduced in the CCNA exam in 2013, wireless capabilities with WLC and lightweight access point, and security devices with ASA 5505 and 5506-X firewalls. Packet Tracer 7.2.1 released !! Update 17/03/2019 : A new Cisco Packet Tracer 7.2.1 build 222 is under active development and could be released soon. Cisco Packet Tracer 7.2.1 corrects several issues of Cisco Packet Tracer 7.2 including the multiple netacad login issue. Cisco Packet Tracer 7.2.1 is created by Cisco SystemsTM and is now freely downloadable for everyone on netacad.com ..
Packet Tracer MD5 and SHA package sums available on our download page. Cisco Packet Tracer 7.1.1 and 7.2.1 are available for free and unrestricted download on the Packet Tracer resource page on Cisco Networking AcademyTM website. Networking Academy registration is now open to everyone and self-learners are now allowed to download Packet Tracer. In a rapidly growing IoE (Internet Of Everything) market, Cisco announced new Industrial/IoT certification (IMINS2 Exam) program to help students and network professionnals to builds the skills required to converge Industrial Plant floor with IT infrastructure. Packet Tracer 7.2 introduced real HTTP server and websocket capability to the SBC board reachable from a real web browser locate doutside of Packet Tracer. Download free Cisco Packet Tracer 7.2 activity files (pka) designed by our team for CCNA TM and CCNP TM certification exams training. Cisco Packet Tracer 7.2 added Cisco ASA 5506-X firewall support as ASA 5505 is getting deprecated. Firepower functionalities are not supported in this release. 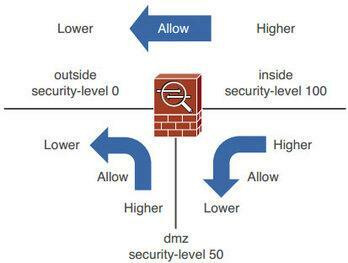 Discover how to configure clientless SSL VPN on ASA 5505 firewall and to setup a DMZ using Cisco Packet Tracer 7.2 . An open source version of PTBridge is now available on GitHub. This PTBridge version works with Packet Tracer 6.2 multiuser connection (server mode). It translates Packet Tracer packets and protocols to real ones and allows real network interaction with Packet Tracer simulated environment. ASA features such as IPSEC VPN or SSL clientless will be tested soon. Wait for upcoming test results ! Packet Tracer multiuser cloud configured on TCP 38000 port. Cisco Packet Tracer Mobile 3.0 available for download ! Cisco Packet Tracer Mobile 3.0 has been released by Cisco on may 12th, 2017. 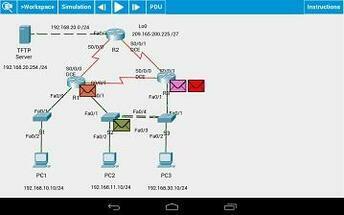 This is the fourfth Packet Tracer version released by Cisco for android and apple mobile devices. Cisco Packet Tracer Mobile 3.0 is still not available for windows phones. However, Packet Tracer 7.0 PC version is available and fully functionnal on Windows 10 tablets. This mobile version is based on the new Cisco Packet Tracer 7.0 simulation engine including IoT capabilities and is thus compatible with Cisco Packet Tracer 6.3 and 7.0 labs. This new version also corrects bugs fonds in previous the previous Packet Tracer Mobile 2.1 version. Limitations and differences with Cisco Packet Tracer 7.0 desktop version can be found in the release notes available on Cisco netacad website. 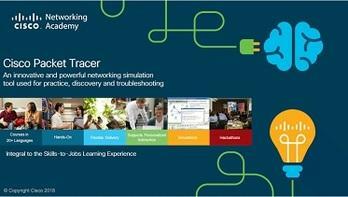 A free Cisco Networking Academy Netspace account is required to use the full features of the simulation software. Packet Tracer mobile 3.0 requires Android > 4.2 on ARMv7 CPU tablets. User interface is optimized for screens with a minimum size of 7 inches and is as such difficultly usable (but working) on a phone. 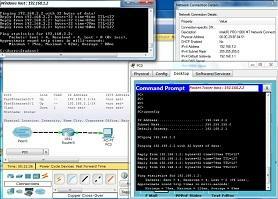 CCNP TSHOOT is a qualifying exam for the CCNP certification. It differs from the other CCNP exams (SWITCH & ROUTE) by requesting the exam candidate to work on simulated Trouble Tickets. 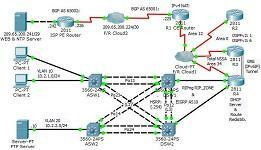 The network topology of the tickets is publicly available on Cisco website. This CCNP TSHOOT lab is now available in Cisco Packet Tracer 6.1 to help students to prepare the exam by beeing comfortable with the exam network topology and concepts before taking the exam.